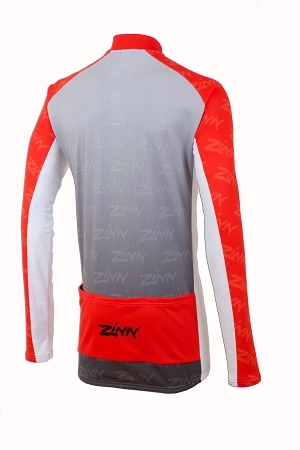 Finally a longsleeve jersey that has long enough arms! 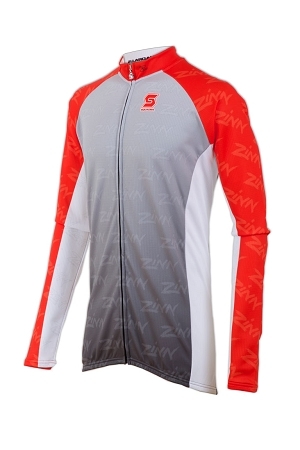 For years our customers have been requesting cycling clothing that really fits. Well, now it is available in super high quality Quadtech material made by Squadra. The fit of our jerseys has been specially designed to fit big and tall men, meaning longer torso and arms and more room in the body. We have sizes to fit even the biggest guys. The LT and XLT are great for tall and thin guys while the XXLT and XXXLT fit big and tall men. The inner construction pulls moisture away from your body. The outer Ã¬grid® construction disperses moisture and heat over a larger area allowing for fast drying and comfort. The result is a better ride everyday and the great look of your own custom design. This jersey is fantastic. I am 6’ 7” and 200 lbs and ordered the XXL. The fit is moderately tight, but I can still easily wear a long sleeve base layer with the jersey. I wish other colors were availble.